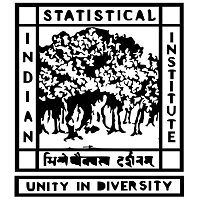 ISI Kolkata Notification 2018.Indian Statistical Institute Kolkata has released a notification for the recruitment of Project Linked Person vacancies.Check the eligiblity and notification prior to apply for the positions. 2 .Qualifications: Master degree with consistently good academic record in Statistics/ with experience in computer programming, preferably in C and/or R language, data analysis and handling statistical software packages. Preference will be given to candidates with a Biostatistics background along with experience in data analysis and computation in statistical genetics. Candidates appearing in the final examination of M.Sc. or equivalent may also appear in the interview, but the appointment letter, if selected, will be issued only upon showing the pass certificate of M.Sc. or equivalent examination. 3. Job Description: Develop novel methods developed in the projects and compare efficiencies with other existing methods. 4. Tenure of appointment: The duration of the appointment will be till 31 March 2019 from the date of his/her joining the institute which may be extended later/terminated earlier, depending on availability of funds & performance of the candidate. Age: Should not exceeding 35 years as on 01 June 2018 with usual relaxation for SC/ ST/ OBC/ differently abled/ extremely experienced and meritorious candidates. Walk-in-interview will be conducted on 02 July 2018 (Monday) at 11:00 a.m. at the Human Genetics Unit, A.K. Kolmogorov Bhavan, Indian Statistical Institute, Kolkata . Candidates appearing for the interview are required to report at 11:00 am in the Human Genetics Unit (A.N. Kolmogorov Bhavan) and bring their current resume (signed) in English along with covering letter addressed to the Professor-in-Charge, Biological Sciences Division, Indian Statistical Institute, Kolkata giving particulars of (a) Name (In block letters), (b) Mailing Address, (c) E-mail Address, (d) Telephone/Mobile No., (e) Parent’s/ Spouse’s Name, (f) Date of birth, (g) Aadhaar No., (h) Academic Qualifications (with percentage of marks obtained in each examination), (i) Experience (if any), (j) SC/ST/OBC/Differentially abled status along with all attested photocopies of their certificates and also bring the original copies of the certificates for verification of photocopies. The Institute reserves the right not to appoint anyone in either of the projects.